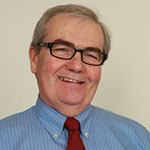 Dr. Louis Danielson is a managing director at the American Institutes for Research (AIR) and serves as a senior advisor for the College and Career Readiness and Success Center. He is a national leader in the field of special education and has been involved in programs that improve results for students with disabilities for over three decades. His career spans several roles in education including secondary school science and mathematics teacher, school psychologist, and teaching at the university level. Until recently, Dr. Danielson held leadership roles in the U.S. Office for Special Education Programs and was responsible for the IDEA national activities programs. He has served in numerous research and policy roles and has been involved in major school reform activities. At AIR, Dr. Danielson leads research and development work related to assessment of students with disabilities and serves as a Senior Advisor to the National Center on Response to Intervention, and led the National High School Center’s on tiered interventions initiative. A frequent contributor to professional journals, Dr. Danielson has published extensively in the literature and is a frequent speaker at national conferences, international conferences and events focusing on special education. His particular areas of interest include policy implementation and evaluation and scaling up of evidence based practices.